Dr Jengo's World: GTA V DLC to feature Aliens? Some time back, a fellow Crew Member posted about some Alien DLC in our Crew's Whatsapp Group. So when I asked him more about it, he told that it's true and that sources on the internet have already found about a certain 'Hangar 13 DLC'. One of the articles that popped up when I Googled 'Hangar 13 DLC' claims that 'Rockstar and Take Two Interactive has filed a trademark for a property entitled Hangar 13'. 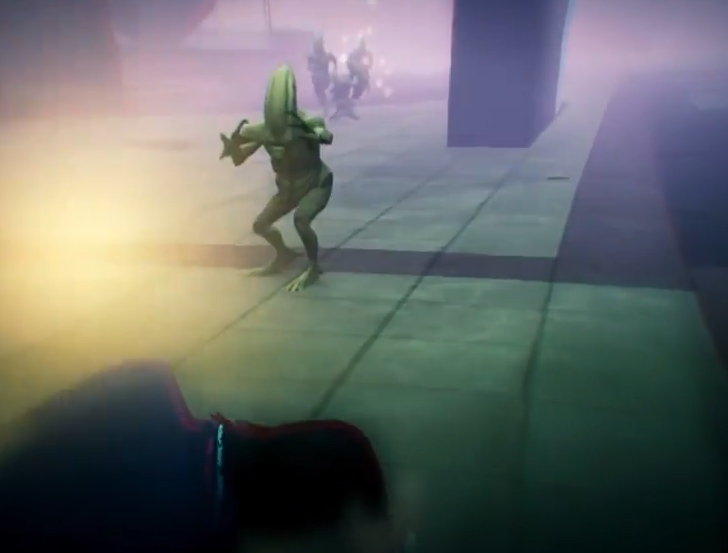 There's already Aliens in GTA V's mini-games when you go into a drug-induced state.. So it sounds pretty legit. Will we see Zombies? After doing Zombies in Red Dead Redemption, I doubt Rockstar will want to visit the Zombie theme again so soon. We will have to wait for an official statement on that.. Meanwhile.. the High Life update should be coming very soon..
Apart from the usual additions; new Wardrobe Items, Vehicles, Weapons, a very important feature will be coming for the rich folks of Los Santos. The ability to own 2 Properties at the same time, allowing for more Garage space. Yeaahhh!! It will still not be enough for some but it's still a great addition for now. And there will be a new Mental State player statistic to see how sane or insane your fellow players are. I'm looking forward to check out my Crew Members' stats on this. I have a feeling that it's going to be alarming to say the least. Still no official date on Heists other than 'it's coming'. I have a gut feeling that the delay has something to do with the PC Release of the game. There's no official word about GTA V coming to PC but oh come on.. do you really think Rockstar will pass on the PC players? Maybe they are making sure the PC release will be ready before Heists comes out? I'm thinking that putting out the PC release with Heists will definitely boost the interest in it. Either way, hope to see some content pretty soon.. It's been a while..